Rugs can get dirty. That’s just a fact. The heavy foot traffic that the rugs in your home get on a daily basis results in dirt and dust particles building up over time. In many cases, the germs in rugs aren’t visible, meaning they can stay dirty for long periods of time before it ever gets noticed. Out of sight, out of mind, right? However, there comes a point when it’s time to get those rugs cleaned. Whether you are just now realizing how much crud your area rugs have accumulated, or you’re hyper-aware and are needing to get them cleaned for both sanitary and sanity purposes, it’s best to call on the professionals for rug cleaning. 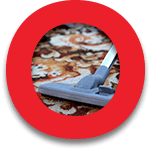 If you live in the Las Vegas area and are looking for effective rug cleaning services, Oriental Express is the company to call. As a family-owned business, we’ve been cleaning rugs, carpets, tapestries, and custom area rugs since 1980. Let us help you keep your house clean with our services. Give us a call today! What Makes Your Rug So Dirty? Dust gets everywhere, no matter how old your house is. While an older house may create more dust than a newer one, dust will find its way into every nook and cranny that it can find, no matter the type of building. Plus, depending on where the rug is placed, by the front door, near the entryway from the garage into the house, or any area of high foot traffic, the dust can only build up more. If you’re noticing that dust billows up when you step on the rug, or if the rug simply looks a bit dull, it’s time to call Oriental Express for a well-needed rug cleaning. Now this is a tricky one. When it comes to mold, it’s best to call the professionals. We know all the tricks to effectively removing all mold buildup in your rugs, and our rug cleaning services will get it back into pristine shape. Mold can form on rugs for many reasons. If the rug is located in an overly dark and moist environment, the chances of it growing mold are higher. And if the rug is in an area that sees water often, whether that be from moisture getting tracked in on shoes or just from spilling drinks, the chances of mold and mildew increase. Don’t let it sit in the fabric for long — call Oriental Express to get it cleaned immediately! Part of having and caring for pets includes cleaning up after them. Dogs and cats are some of the best pets to own, but it’s no secret that their hair and dandruff can get everywhere. 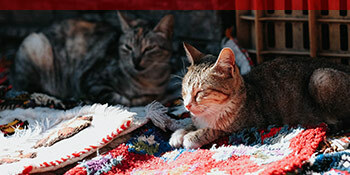 The hair your pets shed is the perfect size to nestle its way into the fabric of rugs. And we haven’t even mentioned when your pets have accidents. Whether there’s a stain or not from where your pet left their mark, it’s best to get the rug cleaned after your little critter had an accident. Food particles will always find their way into areas they shouldn’t — the chair, our computer keyboards, and yes, you guessed it, our rugs. Whether you’re stuffing your face with a snack on the way out the door, or you have a rug in the kitchen/dining room area that often finds itself full of leftover crumbs, it’s best to keep all your rugs food free. 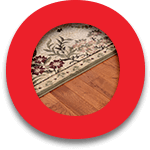 Call on the rug cleaning professionals at Orient Express to get those food particles out of your favorite area rugs. From weekly vacuuming to being careful about food and drink spills, there are small actions you can take to get into the habit of maintaining a clean rug. Keeping your rugs clean on a daily basis as much as possible will result in extending its lifespan and the overall health of it. It’s best to call on the rug cleaning professionals, but there are daily chores that you can get into the habit of that will work toward the quality of your rug(s). If you notice your rug looking a bit dusty, you can start by pulling out your vacuum and running it over your rug a few times. This will get rid of the dust and dirt particles on the surface, and can offer you some peace of mind about the cleanliness of your rug. One of the best ways to keep your rug clean on a consistent basis is to get into the habit of removing your shoes when you enter into the house. Your shoes can track is mud, moisture, and a lot of germs. 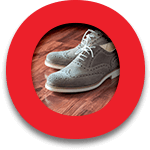 If you’re in the business of keeping your rug in good condition, removing your shoes before walking over them is the best move. Accidents happen. Food and drink can find their way from a plate or glass in your hand to the floor in a blink of an eye. And when this happens, it’s imperative that you act quickly and clean up the spill or stain immediately before it sinks deeper into the rug fabric. If you’ve spilled something like pasta sauce, it’s best to use a scooping motion to get the majority of it off the rug, or else you could dig it deeper into the fabric. If you’ve spilled a beverage, pat it dry to soak up the liquid. Don’t rub the stain to get it out, but rather blot it. The longer you leave a substance on the surface of the rug, the harder it is going to be to get it out. Get into the habit of rotating your rugs regularly, whether that be every month or every other month. Changing how the rug is situated on the floor will reduce the amount of wear it gets in one specific area, especially if the rug is in a high traffic area like by the front door or in the kitchen. Rugs play an important role in a household. From being decorative pieces to serving as a place to wipe your feet when you enter the house, the benefits of investing in oriental rugs are twofold. That’s why it’s so important to keep the rug cleaned on a regular basis. Above, we discussed some easy habits you can get into to tidy up the rug on a daily basis. But you might be wondering why you need to call on the rug cleaning professionals if you yourself vacuum and wipe up stains when needed. Yes, regular surface maintenance is imperative to the health of your rug, but investing in rug cleaning services will only prolong the life and look of those important area rugs in your house. So why should your rug be cleaned by the professionals on a regular basis? While rugs are practical items in a household, most times rugs are purchased to be used as a design element in a room. Just like you would repaint the walls or reupholster the furniture if needed, rugs deserve the same type of maintenance. Getting your rugs professionally cleaned keeps them looking nice and fresh. From cleaning off dust and germs to removing stains, rug cleaning services are not something to be overlooked. Depending on where your rug is located, dust, germs, and allergens can get trapped within the fabric. While regular vacuuming can keep this under control in theory, you’d be surprised by the bacteria that can build up in the fabric of the rug. Having a professional deep clean it ensures that those nasty germs are removed. Plus, when really dirty, your rugs can trap pollutants, which in turn can affect the air quality of the room or environment. A professional rug cleaner can remove those pollutants, germs, and bacteria to ensure the rug itself is in good condition, as well as the air you and your family are breathing. Keeping up with daily rug maintenance can be a pain when the task at hand is too big. That’s why it’s recommended to get your rug cleaned by the professionals. Sending your rug in to be cleaned on a bi-yearly or yearly basis will not only ensure that it’s as clean as can be, but it will make the day-to-day maintenance of it a lot easier. Now the dirt and dust that accumulates can be easily and effectively vacuumed out instead of sitting in the rug’s fabric collecting germs. 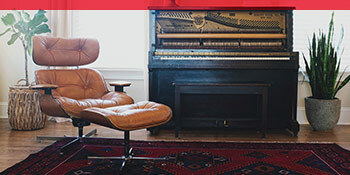 As rug care specialists, Oriental Express is the company to turn to when you need your rug to be cleaned or repaired. We are a family owned and operated business that has been opened since 1980. 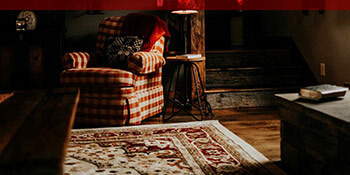 Having been in business for close to 40 years, we know the importance or quality rug cleaning and repair services. Not only that, but we take immense pride on serving our clients in the greater Las Vegas area with respect and integrity. Whether you’re looking to get your rug cleaned or repaired, you know who to call. Contact us today to learn more about our rug cleaning services. We are here to serve you. 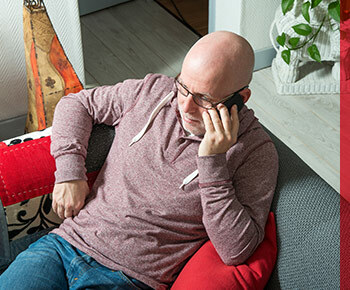 We’ve all heard the phrase “Sweep it under the rug.” Used figuratively, the saying refers to ignoring and avoiding issues that should really be addressed. As sayings go, it’s relatively young, as the first time it was ever recorded in its figurative usage was 1963. However, it has stuck around just fine, and the Oriental Express team is pretty sure it will be around as long as people beautify their spaces with rugs and avoid their problems! Speaking of avoiding problems, are you avoiding cleaning your expensive rugs? Many people aren’t even sure where to turn when it comes to maintaining the rugs that add so much texture, color, and comfort to their living spaces. 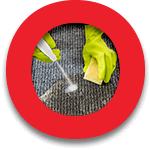 Regular carpet cleaners can’t do the job, and as a result, many rugs end up very dirty indeed. Some people can’t remember the last time their rugs were correctly cleaned in the first place. What is Lurking Under Your Rug? Did you know that your rugs act as giant air filters? Dirty rugs aren’t just eyesores; they can be health risks as well. There’s a lot more going on than meets the eye when it comes to any type of carpeted floor cover, and today, we want to discuss just some of the contaminants that are shortening your rug’s lifespan and possibly contributing to your own health troubles. 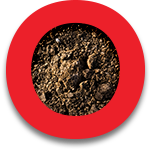 The average home accumulates about 40 pounds of dirt a year. That is a lot of dirt! When you imagine 40 pounds of dirt collected in your oriental rugs and upholstery, it suddenly makes a lot of sense that the jewel-like colors you love so much have faded away, leaving the rug looking tired and old. All it takes is a cleaning from us, and you’ll have that gorgeous rug back! With all the dirt we mentioned above comes a bunch of passengers called dust mites. These microscopic bugs feed on our skin cells and live about 45 days. The residue they leave behind can cause serious allergies. 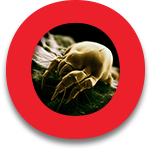 At least 15 dust mite different species inhabit our dirt, and you’ll find over 42,000 individual bugs in one ounce of it. Make sure your home isn’t overcrowded with these microscopic intruders; let our cleaning team issue and reinforce an eviction notice! You may not want to know this, but you shed over 36 million flakes of dead skin every 24 hours. Where does all that skin go? All over. It builds up in your rugs, where dust mites enjoy the never-ending supply of their favorite food. Only regular professional cleaning will keep this crazy situation under control, so contact us in Las Vegas today. Allergies come in all different shapes and forms, but pollen allergies are some of the most common (and annoying). Rugs can be your worst enemy if pollen gets you sneezing or itchy. 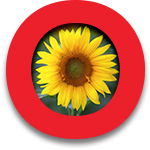 They collect pollen and can keep it around all year long, which may be why your allergies just never seem to subside. All of your upholstery can act as a pollen bank, so we suggest you put your foot down and contact us. We can help you breathe easy again as you sit on your favorite couch or walk over an oriental rug. 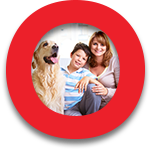 We love our pets, especially the furry ones. There’s nothing like having a friend who is fuzzy and cute! Unfortunately, pets leave a bunch of fur and dander all over the place. As always, your rugs will become the gathering places for all of these tiny contaminants. You’ll kick them up as you walk over the rug, keeping up a constant distribution you could really go without, especially if you have allergies. Let us help. These chemicals enter our homes via the products we buy, the materials we use to build, and the activities we do. They include the toxic substances in cigarettes, varnishes, paints, dry cleaning chemicals, upholstery, and composite wood products (just to name a few).VOCs can’t always be detected via smell, but when we are exposed to them over long or short periods of time, the risks include everything from dizziness to permanent central nervous system damage. Your carpet will pick up and hold these compounds, which is the last thing you want. Let us clean them out for you! You might be surprised at how many of our clients hardly recognize their newly-cleaned rugs. The colors are so vivid! The pile feels so much plusher! The thing is, outside of dramatic spills or flooding, rugs get dirty gradually — so gradually, in fact, that people don’t realize it’s happening until they see the results of our work. Your upholstery and rugs can be assets to your home or eyesores that affect your health and wellbeing. Let’s face it: our rugs work hard. They need a little TLC. 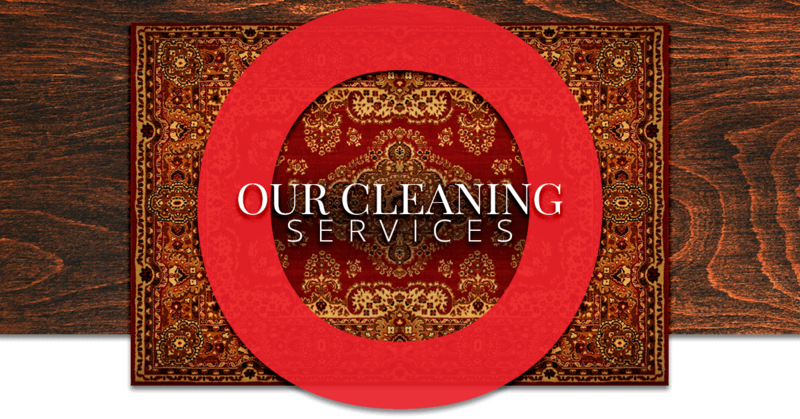 Contact us for oriental rug cleaning today!